Using your washing machine for cleaning laundry such as clothing and sheets is a task that most of us carry out every day. With advanced technology and state-of-the-art appliances, there’s a whole new concept to what you can put into your machine for a thorough clean without any hassle. Mop heads really need to be cleaned after every single use to ensure they stay sanitary. By setting the washing machine to take a small load, and the temperature to high, you’ll be able to pop your removable mop head into a mesh bag, and it’ll come out looking like new! You’ll be able to easily wash pillows two at a time in a gentle warm water cycle, or if you prefer wash one at a time on a small load setting. You need to make sure you wash out all the detergent, so opt for an additional rinse and spin at the end – dry pillows on a low heat for extra fluffiness. 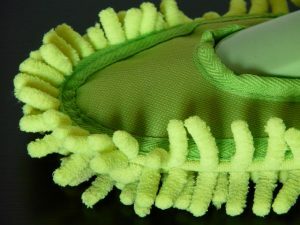 Both down and synthetic fibres benefit from a regular wash to get rid of dust and mites. Turn back packs inside out after emptying all the pockets! If there are large remnants of food or other debris it’s a good idea to do a pre-clean with the vacuum before you begin. Pop the back into a laundry bag and wash on a cool wash cycle with just a small amount of detergent and hang on the washing line outside to dry naturally. You can add cloth oven mitts to your load of towels and dishcloths. Silicon mitts only need a warm wash cycle, but can go in with a load of towels if you prefer to keep them separate from your garments. Before you load the mat or rug shake it outside to remove any loose dirt and dust. You’ll need to choose the settings carefully for rubber lined mats as a hot wash can cause the liner to shrink or crack. Use a warm water wash and a gentle cycle to care for small rugs, and only add half the amount of detergent you’d normally use. Allow mats to dry naturally. By using laundry bags you can happily clean shin guards, gloves, and protective pads in the washing machine. Choose a regular cycle with just half the amount of a gentle detergent – remember to close all Velcro fastenings to stop them from catching. 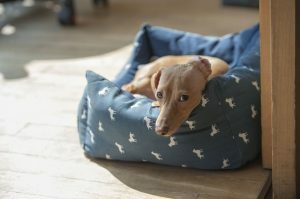 For pet beds with removable covers the technique is straightforward – take off the outside cover and pop into the washing machine with cold water and a regular detergent. You’ll need to wash the foam insert by hand and leave to dry naturally before re-assembling the bed. Shower curtains are easily washed with bath towels to get that extra clean. Use a warm water setting to ensure the curtain doesn’t split or crack or you could opt for a small load setting if you want to wash the curtain by itself. Hang outside to dry if possible. To keep your material grocery bags hygienically clean you should give them a thorough cleaning on a regular basis. They can go straight into the washing machine on a hot water cycle with a normal amount of recommended detergent. They can also be tumble dried so they’re ready to re-use straight away! Now you’ve discovered all these washing machine uses, you’ll want to keep your appliance in tip-top condition. 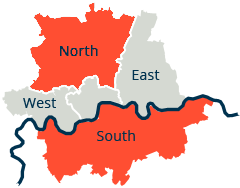 When you need same day or next day repairs simply contact a reputable washing machine repair service in South London!